Talented artists and ensembles are selected at the Beverly Hills National Auditions and presented monthly in the South Bay on The Interludes concert series. 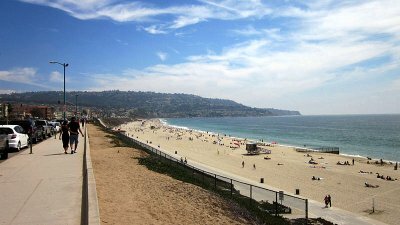 The concerts also are presented on the preceding Friday evenings on the Music By The Sea recital series in the Encinitas Public Library. 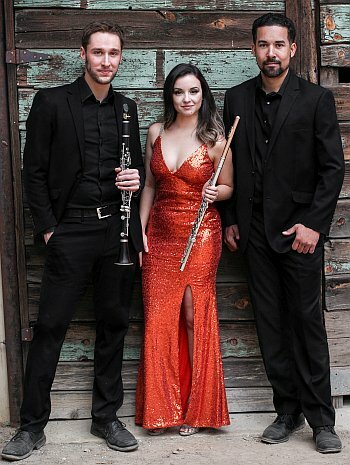 From January through June, the concerts are presented the following Sundays on Beverly Hills' Music In The Mansion recital series in Beverly Hills' historic Greystone Mansion. The next Beverly Hills National Auditions for the 2019-2020 concert season will be held on Saturday, April 13, 2019. Saturday afternoons at 3:00 p.m.
Friday, September 14, 2018 at 7:30 p.m.
Saturday, September 15, 2018 at 3:00 p.m.
from Romantic to tango to modern." Saturday, October 20, 2018 at 3:00 p.m.
"And the Winners Are . . ."
The Beverly Hills National Auditions committee selected mezzo-soprano Michelle Rice and soprano Camila Lima as standouts among the numerous talented singers at the Auditions. The committee commented about Michelle, "She stood out among all vocal applicants with presence/voice in all selections performed," and about Camila, "Beautiful, very artistic, clear operatic soprano, extensive repertoire." With "tones of pure gold" (Washington Post), Michelle Rice brings to her work a rich mezzo voice and notable performance intensity. Her portrayal of Mrs. Grose in Britten's The Turn of the Screw at the Kennedy Center, conducted by Maestro Lorin Maazel, was described as "nuanced and sensitive" (Washington Post), "dramatically charged and vocally superlative" (DCist.com), and having a "firm, warm vocalism [that] made every phrase speak" (Baltimore Sun). 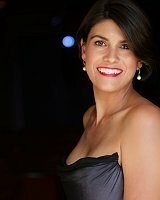 Ms. Rice has appeared as Herodias (Salome), Suzuki (Madama Butterfly), Flora Bervoix (La Traviata), Lola (Cavalleria Rusticana), and covered the role of Amneris (Aïda). As Emilia in Festival Opera's production of Verdi's Otello, the San Francisco Chronicle extolled she "brought vocal and theatrical impact to the role." 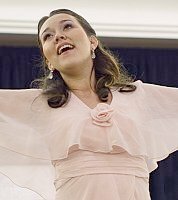 American/Argentinian soprano Camila Lima made her debut in the role of Violetta in Verdi's La Traviata in Barcelona, Spain. 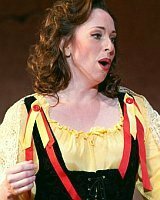 She has sung the roles of Gilda in Rigoletto, Nedda in I Pagliacci, Elena in the Zarzuela El Barbero de Sevilla, the Sleep Fairy/Sandman in Hansel und Gretel, among others. She has sung at the Dorothy Chandler Pavilion in Los Angeles and at Carnegie Hall in New York. 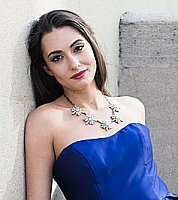 She was the winner of alternate First Prize of the 2018 international New York Lyric Opera Competition and semi-finalist at the Montserrat Caballe Competition in Zaragoza and the Jaume Aragall Competition in Sabadell, both in Spain. She currently lives in Los Angeles and coaches with Douglas Sumi. Saturday, November 17, 2018 at 3:00 p.m.
". . . a sound unmatched by anything heard before. It was music of the heavens, and the quartet was the angelic ensemble playing at the gates." Quinta Essentia is among Brazil's leading chamber music ensembles. 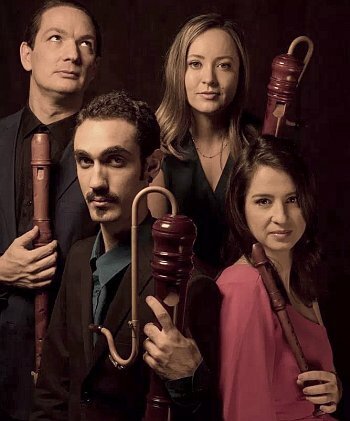 The recorder consort of four brilliant musicians performs on a collection of ancient and modern instruments, inspiring audiences worldwide. Their concerts are a celebration of musical virtuosity, in programs from the great classics to the music of today. Saturday, January 19, 2019 at 3:00 p.m.
Sunday, January 20, 2019 at 2:00 p.m. The Los Angeles Ensemble, along with its pianist Sung Chang and his duo-piano partner Esther Lee, swept multiple categories of the Beverly Hills National Auditions, and all will be on full display in this concert extravaganza. 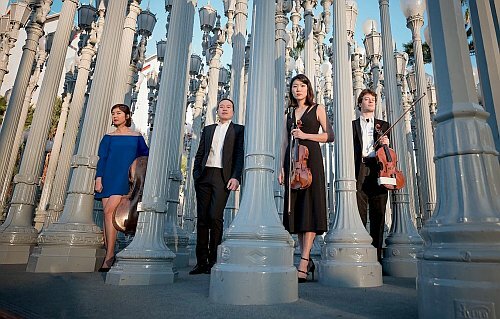 Formed in the fall of 2015, the Los Angeles Ensemble was awarded First Prize at the International Music Competition Grand Prize Virtuoso in London, and since, has become a familiar musical "face" on the Los Angeles scene. Individually, members are winners of international competitions and trained in leading music schools worldwide. Saturday, February 16, 2019 at 3:00 p.m.
Sunday, February 17, 2019 at 2:00 p.m. 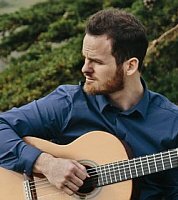 The Beverly Hills National Auditions committee wrote about Aaron Haas & Anastasia Malliaras, "A unique presentation of original voice/guitar cycles of Spanish composers sung in Ladino, Spanish, and English - their repertoire also includes Native American songs." 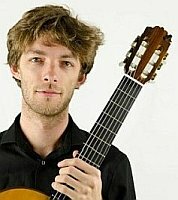 And about Laurel Irene & Jaxon Williams, they wrote, "The contrast of this soprano/guitar duo prompted committee to offer a shared recital to both duos. Laurel & Jaxon offer fun repertoire of American music of 20th and 21st centuries." All of these fast-rising artists are currently or recently in USC's renowned Thornton School of Music graduate programs. Georgian-American pianist/composer Giorgi Latso and Russian pianist Anna Fedorova-Latso are winners of international competitions and highly regarded piano virtuosos on the international classical music scene. As The Latsos Piano Duo since 2013, they have performed four-hand piano recitals and concertos for two pianos with orchestras in Europe, Russia, America, and Asia. Russian-born pianist Anna Fedorova-Latso graduated from the State Glinka Conservatory in Nizhny Novgorod, and is First Prize winner of international piano competitions in Russia, Italy, and Greece. Giorgi's 2010 appearance in London's Wigmore Hall included the world premiere of his composition Cyber Moment for violin and piano, which can be seen on YouTube. Together Anna and Giorgi are brilliant and have issued their first recording – The Latsos Perform Mozart and Schubert. Friday, April 19, 2019 at 7:30 p.m.
Saturday, April 20, 2019 at 3:00 p.m.
Sunday, April 21, 2019 at 2:00 p.m. 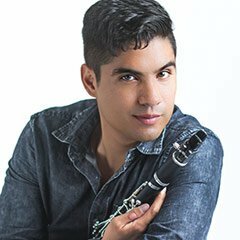 The Beverly Hills National Auditions committee wrote, "This diverse ensemble of talented multi-instrumentalist Micah Wright showcases both the classic piano/clarinet/cello trio and Jazzy/virtuosic selections with clarinet/sax/piano." Saturday, May 18, 2019 at 3:00 p.m. These iPalpiti soloists, known for exceptional beautiful tone, come to LA to present a remarkable romantic program of solos and duos. 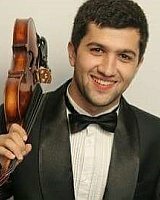 Winner of the American Protégé International Competition of Romantic Music, Azer Damirov is a graduate of the famed Tchaikovsky Moscow State Conservatory and received his Master's and Doctorate at Temple University. 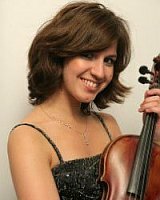 Violist Adelya Shagidullina won First Prize at four international music competitions. A graduate of the Kazan State Conservatoire in her native Tatarstan, and with a Master's and DMA from Temple University, she is a member of the Philadelphia Chamber Orchestra and Philadelphia Virtuosi. Saturday, June 15, 2019 at 3:00 p.m.
Sunday, June 16, 2019 at 2:00 p.m. Under the leadership of the French violinist Etienne Gara, the new chamber ensemble Delirium Musicum gives impassioned and engaging performances by a young generation of top musicians from Los Angeles. Programs present creative interpretation of the old masters as well as collaboration with contemporary composers in repertoire that speak to modern audiences.